Launched in 2012, the Abegweit Biodiversity Enhancement Hatchery raises indigenous fish species to restock Island rivers. This important work stems from a critical element of Mi’kmaq culture – the obligation to give back to the environment. The hatchery also plays an educational role to ensure that the younger generations are aware of the importance of the Island fishery and the role each of us can play in preserving it. 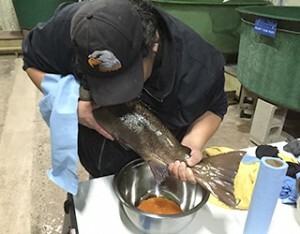 The Abegweit Biodiversity Enhancement Hatchery, the Island’s only hatchery that has a restocking program operates under the Abegweit First Nation Fisheries and Natural Resources program. 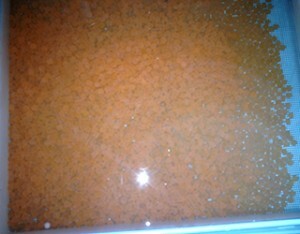 Currently, brook trout and Atlantic salmon are raised at the facility, which is located in Scotchfort, Prince Edward Island. Atlantic salmon is culturally significant to the Mi’kmaq community and is often used in ceremonial rites. The Abegweit Biodiversity Enhancement Hatchery was created to fill a gap when a previous hatchery stopped producing fish for stocking rivers. Its primary goal is to enhance the Island’s recreational fishery, which draws in tourists and contributes more than $7 million to the Island economy.